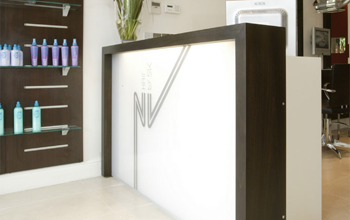 Established for 9 years, here at NV Hair we are committed to exceptional customer service. We pride ourselves on giving our clients a professional quality service with a personal touch. We offer the latest cutting edge hair services, using quality branded products such as Keune and GHD for Straightening, Colouring and Extensions. Our team are professional and dedicated, providing the highest level of guidance, aiming to build a long lasting relationship with each and every client. Don't know what to do with your hair? we would love to give you a FREE Consultation to discuss how we can give you a fresh new look. Contact us now for more information. We are currently looking for experienced stylists who are reliable, friendly & have great communication service skills, to join our team here at NV. NVQ level 2/3 is required. We ask that clients arrive 10 minutes early to allow for consultation time. Should clients need to cancel their appointment, we ask to give at least 24 hours notice, or we will have to charge 50% of their total bill.